Audi A8 prototype has been spied testing again. The pics do not reveal anything new and what to expect from the next-generation of Audi’s flagship sedan is based mostly on speculation. 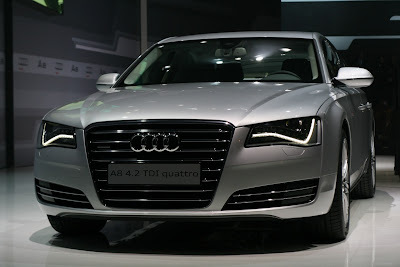 But that the new Audi A8 Prototype will be fitted with Audi’s standard array of large engines is an easy guess to make.